2018 seems to be a political year just like 2016 and 2017. Kenya is a political country and Kenyans do politics all year round. Odinga swearing in ceremony is scheduled for February this year after convention of peoples assembly. The main problem Is that Kalonzo musyoka is against the swearing in plans. Wiper party has always distanced itself from swearing in plans, in the run up to December 12 swearing in ceremony, wiper distanced itself from the plans and said that they will not be part of plans to Break the law and commit high treason. Wiper senator mutala kilonzo jnr made it clear that the swearing in ceremony is an odm affair and wiper has not been briefed. 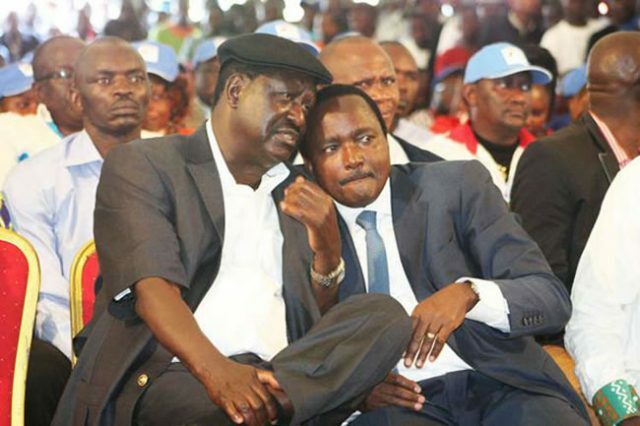 Kalonzo silence shows that he is planning his political plan. Kalonzo musyoka is one of the leaders who convinced NASA leader Raila odinga to abandon swearing in plans. If Raila goes ahead with swearing in plans without involving wiper,Kalonzo party might distanced itself from the coalition. Jubilee voted overwhelmingly for kalonzo son for EALA position so he will consider his position. It will not be surprising to see Kalonzo party wiper break out of NASA or join jubilee in 2018.